Selling a Massachusetts home today is not like it used to be back in the middle of this decade. Quite honestly when you needed to sell a home back then it was as easy as convincing a dog that table scraps taste better than what’s in his bowl. Boy has the Real Estate landscape changed! When you are selling a home today in Massachusetts you better be darn sure you do your homework on who will be representing your best interests in the sale. Selecting a great Realtor to market your home should be one of your 1st considerations. As a Realtor who has been selling Real Estate for almost twenty five years, I can tell you with certainty that the Real Estate agent you select will have the greatest bearing on whether you will be happy a happy camper or not. 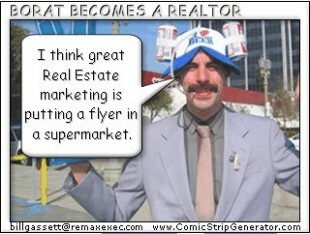 In the Real Estate industry there are some very good agents and some that have no business holding a license. One of the things that puzzles me the most about the my business is how lackadaisical people are about selecting a Realtor. When people need a good doctor, lawyer, auto mechanic or a host of other things they do their proper research. 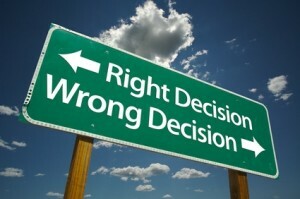 Decisions are not made lightly. On many occasions this does not hold true with selecting a Realtor even though you would think it should given a home is often times a persons largest asset. From being in the business I can tell you with certainty that there are three traits that you most successful agents have mastered. These include the ability to price a home properly, a well designed marketing plan, and someone with effective communication skills. Lets face it we all want our homes to sell for the most money. It is human nature. We all think our home is better than the guy that just sold down the street. Many home owners make their biggest mistake by going with the Realtor that gives them the highest price. Guess what…there are unprofessional agents that know some people make decisions based on emotion and not logic. There are a certain segment of Realtors that will tell you what you want to hear to get your business. Once the agent has you under contract and the home has been on the market for a while they start to badger you for price reductions or worse say nothing. You may be thinking what is the point of having an overpriced home? Some agents just don’t care because they are using your home as a means of drawing calls from buyers that could lead to sales elsewhere. Ask good Realtor interview questions. Look for a Realtor that has a good track record in both seller’s and buyer’s markets. Past success is usually a great indicator of future success. Ask the agent for a few references. I would suggest asking for some of their most recent sales and not from some hand picked list that you know will be giving them glowing reviews. Look over the market evaluation of your home very closely. Do the comparable sales look similar to your property? Remember you need to be looking at this information through the eyes of a buyer. If a similar home down the street had a brand new top of the line kitchen and other updates don’t expect to be getting the same price if you don’t have them. 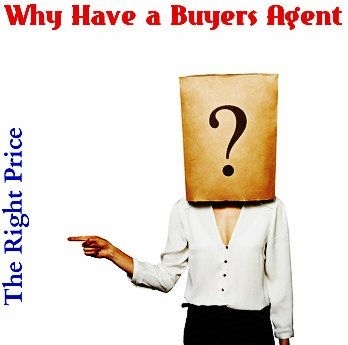 Picking a Realtor based on the price they give you is really double whammy because more often than not you will be stuck with a lousy agent and an overpriced home. Even an outstanding agent will have difficulty selling an improperly priced home. There are countless homes that come up expired each week. The common denominator is most often the wrong list price! 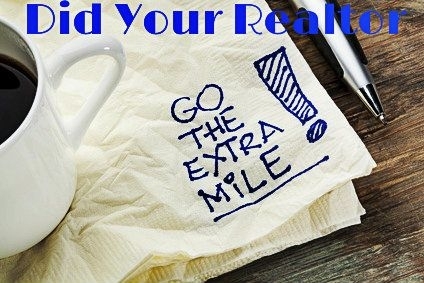 The 2nd trait that most exceptional Real Estate agents have is the ability to market well. What this really means is the ability to market on-line. The days of people finding homes by looking in the classifieds and magazines are over! Almost 90% of all buyers find their homes by doing some kind of on-line search. As a home seller you should be looking for a agent that has a very strong web presence. By web presence I don’t mean putting it into the Multiple listing service (MLS) and Realtor.com. While these things are important they are what every Realtor does. The Realtor you select should have their own website and it should come up in local Real Estate searches. The ability for the site to come up in searches is of the utmost importance. A Realtor could have a very attractive website but if it does not come up in competitive searches it will not help YOU sell your home. or something similar. A Realtor that can come up on the 1st page of Google for these terms knows what they are doing, as these are the most competitive terms to rank for. All the National Real Estate portals such as Realtor.com, Homes.com, Zillow, Trulia, and Yahoo Real Estate spend lots of money to make sure their sites are on the 1st page of Google because they know that consumers use these kind of terms to find property. When a Realtor can get their website to the 1st page of Google guess what happens? Lots of traffic and many more eyes viewing the homes they have listed for sale! When doing these kind of searches today you will also notice that the agents that really know their way around the web 2.0 have started a Real Estate blog to market their properties. Google loves blogs because they are not static like websites. The best blogs are updated on a weekly basis and will be used to showcase a homes best attributes. Search engines love fresh Real Estate content! Besides a website and a blog you want to make sure that your home is found in the places where most people searching for a home visit. One of the things I am most proud of as an agent is my ability to have my clients homes or condos all over the place on-line. Here is a list of the most visited Massachusetts Real Estate sites for selling a home or condo. Let me say with great emphasis that there is a big difference between just being in these sites and doing a great job making your home stand out from the competition! What you want to see for your home is multiple photos taken with a high end camera, well thought out descriptions highlighting the best features, and video tour that takes a buyer through the home. Lastly, you want a Realtor who communicates with you on a consistent basis. Most sellers want to know what is going on with the process of selling their home. Who wouldn’t! Make sure the agent has a plan to keep you informed. Does your Realtor call every agent after the home is shown to see what are the agents/buyers thoughts? How is this information relayed back to you? One of the things I do for my clients which they really appreciate is a feedback report that can be viewed on-line. We give the client a password to the site and they are the only ones besides us that can see it. It keeps them in the loop on what buyers are saying and they just love it! The feedback helps us as well because if we see a pattern in the comments we can make suggestions to address the issue. If you find an agent that does these things and you do your part keeping the home clean and making it easy to show, you will have a blueprint for a successful Massachusetts home sale! About the author: The above Real Estate information on selling a Massachusetts home and picking a Realtor was provided by Bill Gassett, a Nationally recognized leader in his field. Bill can be reached via email at billgassett@remaxexec.com or by phone at 508-435-5356. Bill has helped people move in and out of many Metrowest towns for the last 24+ Years.